Good morning. If you're a follower, you may have noticed it was quiet here at My Book Retreat last week. I didn't review a single book! I didn't even manage to put up my children's book reviews on Saturday. Instead, I spent the week reading as I was participating in the Spring's Serenity Read-a-Thon hosted by The True Book Addict. It was a week-long read-a-thon that started last Monday and ended last night. This post will be a recap of it, since that's all I did last week! So, last week, I finished Hotel Angeline: A Novel in 36 Voices . Then I moved on to In the Lap of the Gods by Li Miao Lovett. 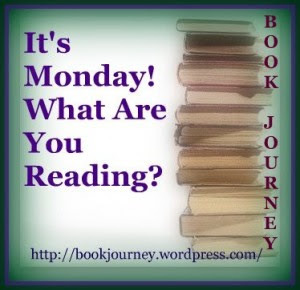 Next, I read The Mis-Adventures of Phillip Isaac Penn by Donna Peterson. And finally, I started reading The Pharos Objective by David Sakmyster. So now I need to write the reviews for all of these! As part of the read-a-thon, I hosted a mini-challenge that had participants reading page 69 of their book to see if it was indicative of the rest of the book. This was based on the Page 69 Test I had read about recently. I'm still reading The Pharos Objective by David Sakmyster. I'm going to read The Raising by Laura Kasischke this week. It's my June book club book and I just got it from the library on Saturday, when I realized it's a one-week loan! After that, I'll start Blood Trust by Eric Van Lustbader. Wow, that's a lot of reading for one week - good for you! I didn't even notice you were gone because I was, too - we were off on spring break, so I was offline for most of the week. As much as I enjoy blogging, I have to admit it was a nice break.